Actor Simon Helbergreturns to 'Larry King Now' to detail his latest film, 'Florence FosterJenkins,' in which he stars alongside Meryl Streep & Hugh Grant.Simon also dishes on what to expect in the highly-anticipated tenthseason of 'The Big Bang Theory,' and comments on the possibility ofanother 'BBT' contract extension for the cast following season ten. Simon Helberg imitates Nic Cage, Al Pacino, & Billy Baldwin...again! 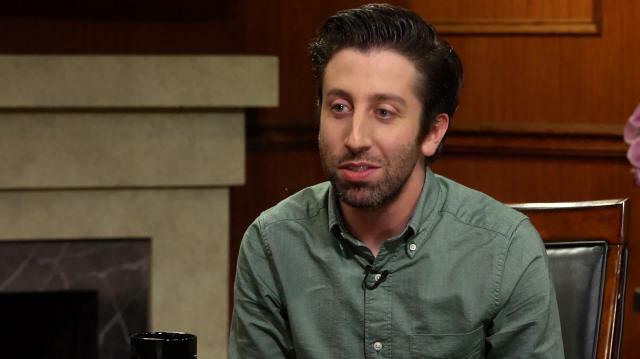 Simon Helberg on future of 'Big Bang': "CBS will probably want to do more"
Who’s The Biggest Flirt On The Set Of ‘The Big Bang Theory'? Famed funnyman Simon Helberg returns to 'Larry King Now' to detail his latest film 'Florence Foster Jenkins,' in which he stars alongside Meryl Streep & Hugh Grant. Simon also dishes on what to expect in the highly anticipated tenth season of 'The Big Bang Theory,' and comments on the possibility of even more 'BBT' in the fall of 2017. Simon then weighs in the future of sitcom TV and if he has any interest in doing more comedy or drama as his career progresses. Later, Helberg has some fun during the interview, doing impersonations of other Hollywood stars, including Nic Cage, Al Pacino, and Billy Baldwin, and answers fan questions submitted on social media.